Facebook is embroiled in controversy surrounding US election interference, users’ personal data, and the firm Cambridge Analytica. On Wednesday, the company said it’s making it easier for people to revoke apps’ access to their data – and simplifying privacy settings. Shares are up about 1% ahead of Wednesday’s opening bell. Shares of Facebook are set to open up about 1%, near $US154, Wednesday after the company said it would release new tools to let users control data already harvested by the social network. In the wake of an ongoing scandal about how Cambridge Analytica and other firms use personal data collected from Facebook, the company said it’s making it easier for people to revoke apps’ access to their data, and simplifying privacy settings on its site and mobile app. Facebook shares have fallen by more than 17% since news of the Cambridge Analytica data breach first hit markets on March 16. Asubsequent FTC probe contributed to the decline. But Wall Street analysts are still relatively bullish on the stock, with an average price target of $US220, according to Bloomberg. That’s a full 45% above Tuesday’s closing price of $US152.22. “It’s also our responsibility to tell you how we collect and use your data in language that’s detailed, but also easy to understand,” Facebook said in a statement. 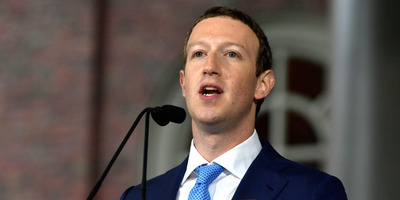 CEO Mark Zuckerberg largely avoided the spotlight for five days after the Cambridge Analytical data scandal broke, before embarking on a media apology tour with carefully chosen outlets. Now he’s rreportedly preparing to give evidence before Congress about Facebook’s role in US election interference. Meanwhile, two senior executives – chief technology officer Mike Schroepfer and chief product officer Chris Cox – will testify to British lawmakers instead of Zuckerberg himself.